Have you ever dreamt about your own recipe website or cooking blog? Do you have a restaurant with a brick-and-mortar location which is not presented on the web? Today food-dedicated websites are in demand because more and more people search for various food services online. Users look for contacts, feedbacks, recipes, reviews, location, or any other useful information allowing them to reserve a table or order a dinner at the desired café or restaurant effortless. So, if you want to keep up with the times in this business niche, it is recommended to have a powerful website with a user-friendly interface and extensive functionality. Nowadays you won’t have difficulty to build an efficient website using one of WordPress Themes that boast lightweight pages, a number of layouts for all occasions, the rich collection of outstanding plugins and completely smooth navigation. Moreover, with a premium theme, you don’t need to pay an arm and a leg for a niche-specific design because it comes with a fully responsive, Retina-ready and visually appealing design. In a matter of several hours of theme’s customization, you can turn a website template into a solid site without effort. 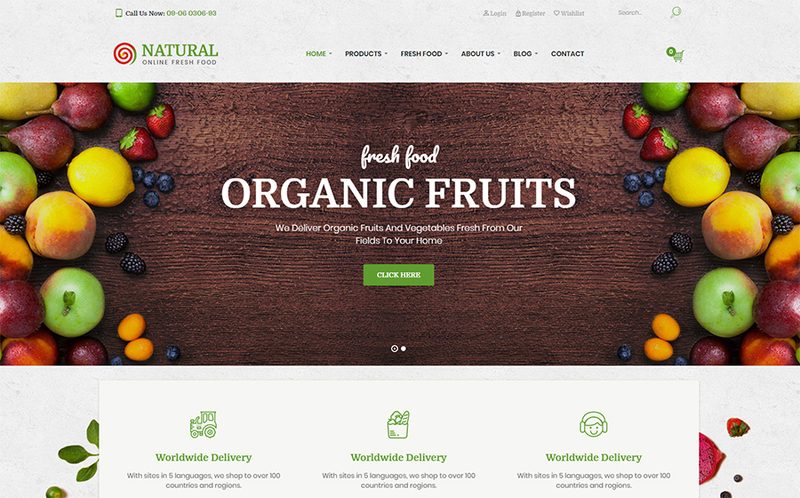 Natural is an attractive, fresh-faced and tech-savvy food WordPress theme which will serve an effective selling platform for your food-related business. The theme comes with 5 outstanding homepages equipped with all the necessary visually appealing tools to attract visitors’ attention at a glance. The template is powered by the latest web technologies and completely optimized for search engines and mobile devices with different screen sizes. Alongside a clean and valid code, Natural includes loads of easy-to-edit features like color schemes, web fonts, and web icons. The template is stuffed with a feature-rich WooCommerce plugin that allows sellers to present their products in the most favorable manner and sale them effortless. With King Composer, you won’t have difficulty to build any web page you need in a short period of time. Thanks to its translation-ready feature, you can spread your business all over the world. 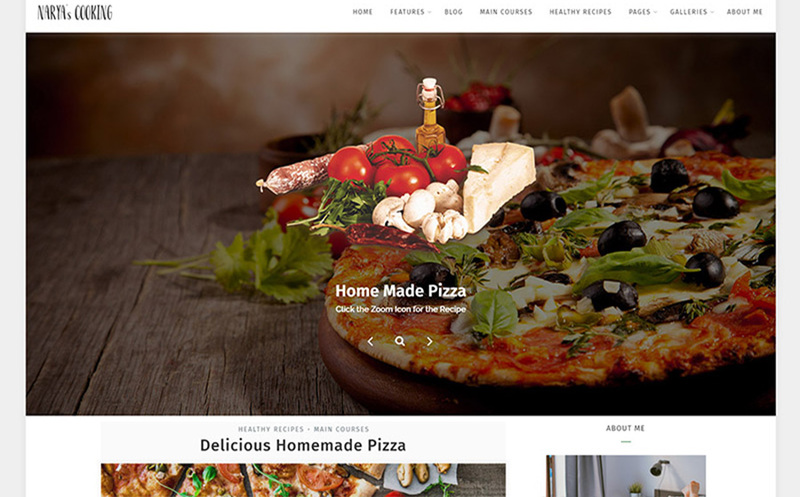 With Trattorio WordPress theme, you will be able to craft a fully-fledged online restaurant in a matter of a day or less. The template combines an elegant and polished design with a technologically sophisticated interface. Thanks to a completely flexible Elementor page builder, you achieve an access to the rich package of widgets allowing you to build a page of any complexity. Additionally, the theme comes with 4 amazing blog layouts and different header and footer styles. Trattorio is equipped with Mega Menu that lets you create a complex menu to better your website navigation. The template welcomes visitors with a visually appealing full-screen slider. The theme is well documented and effectively supported 24/7 so you won’t have difficulty with its installation and customization. Moreover, thanks to its clear code you can run a powerful website straight out-of-the-box. 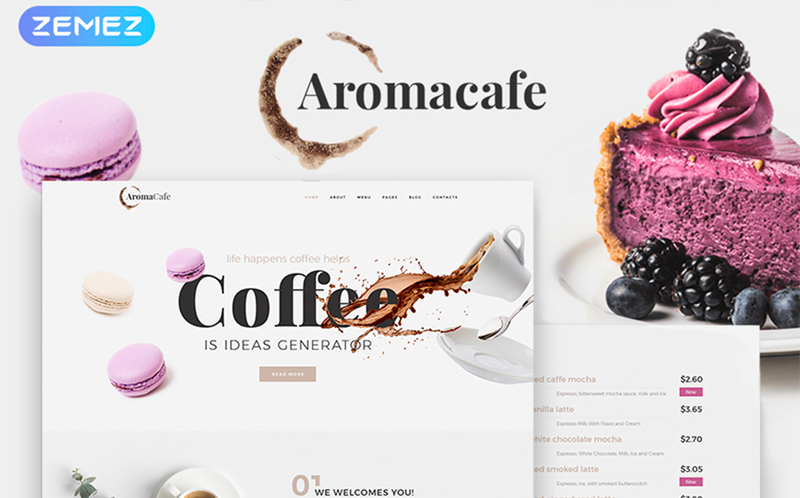 If you are looking for a fresh looking, carefully crafted, technologically impressive website template with a catchy design and advanced functionality for your coffee shop, stop your searching and welcome to Aromacafe. This outstanding template comes with comprehensive homepage layouts that include multiple custom widgets. With an accurate pricing page, you will be able to present your menu in the most attractive manner. 4 amazing blog variants allow you to use various post formats to present your store’s news. If you need, you can use other page layouts like Portfolio/ Team Member/ Testimonials/ Events, etc. All the pages are equipped with a visually appealing header and footer. There are 7 header and 3 footer styles to choose from. Additionally, the template comes with a pack of bonus pixel-perfect images. The theme meets the latest web requirements being equipped with multiple social media options. Are you looking for a mouth-watering sleek design for your European restaurant, Cuisinette will satisfy even the most sophisticated customer. 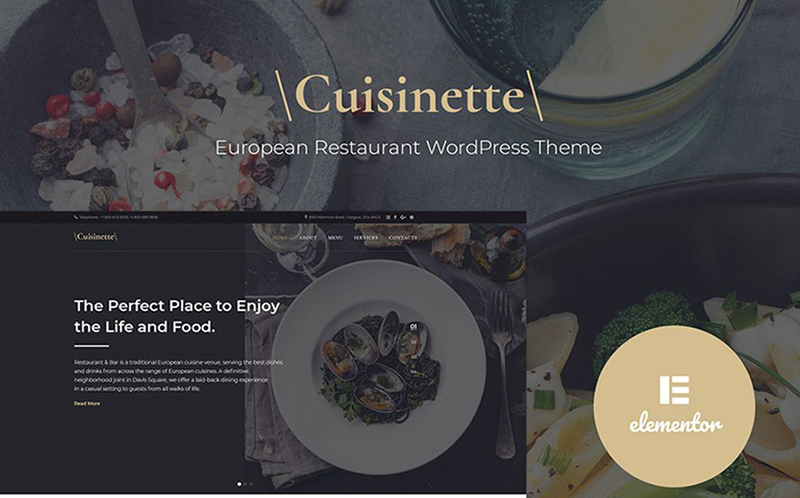 The Cuisinette, one of Restaurant WordPress Templates, includes the rich pack of eye-catching pages for all occasions, so you can grab visitors’ attention with an extra functional homepage, run an amazing blog, or reach out to your customers by means of an impeccable Contact page. With an effective testimonials system, you will easily increase your brand awareness and boost your restaurant’s credibility. After one click installation, you can customize the theme up to your preferences with handy Live Customizer and flexible drag and drop Elementor page builder. The Elementor plugin lets you design with real-time results and doesn’t require coding skills and knowledge. With the completely navigable header and footer styles, your website pages will have a user-friendly, convenient interface. Souldeli is one of the best café & restaurants WordPress themes that meet the latest web requirements. The theme is built in accordance with the newest web trends. It has a visually appealing design, impressive typography, loads of tools to display pictures, a user-friendly interface, and many more. Using this template, you won’t have difficulty with installation and customization. The theme comes with an outstanding niche-specific background and includes the rich variety of page layouts for all occasions. For your customers’ convenience, the template is stuffed with a handy reservation web form allowing them to reserve a table. If you need, you can inform your clients about upcoming events or post news in a catchy style. Using an intuitive search form, your customers will appreciate a user-friendly interface and easy navigation. This WordPress theme is carefully designed to suit a food-dedicated blog and not only. The template boasts sleek and elegant design with deep colors and expressive fonts. It welcomes you with an eye-catchy slider and other visually appealing tools. Take a look at the demo and you will have an idea of what you can do with this premium theme. Narya’s responsive design will flow freely on any modern device without effort. The theme is equipped with tons of social options including Instagram feed, Facebook widget, and Twitter feed. As the theme is firstly dedicated to run a fully-fledged blog, you will appreciate its readability. The template’s interface will satisfy even the most demanding reader. 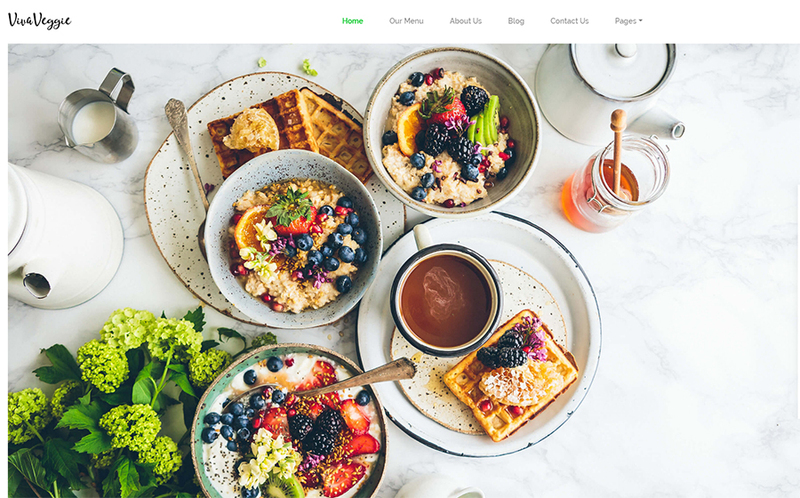 Viva Veggie is a charming and tech-savvy, minimalistic and feature-rich WP theme dedicated to the restaurant business. The theme is crafted with care of developers and website users. It boasts smooth navigation, lightweight pages and intuitive interface. It includes hundreds of Google fonts, unlimited color options, tons of custom widgets, various post formats, many easy-to-edit elements, and much more. 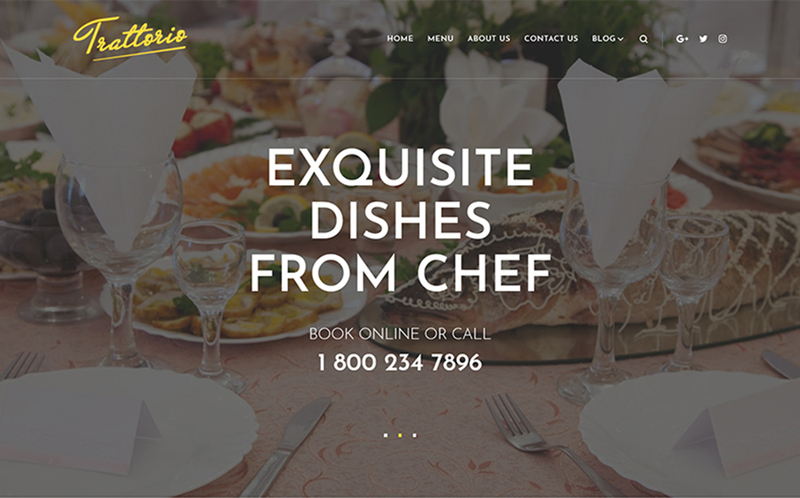 The template includes all the necessary features and tools to run a powerful restaurant website. Your clients will be able to look through menu, to reserve a table and to read the latest information on your blog page. Powered by the Bootstrap framework, you will have an access to the rich package of UI toolkit. With Viva Veggie, it’s possible to set up a mobile-first website without extra costs. 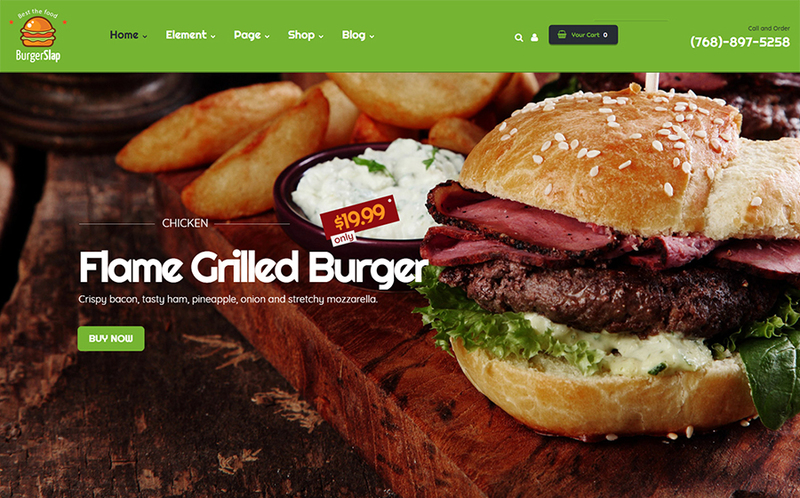 Burger Slap is a truly remarkable, yummy fast food restaurant theme based on the WordPress CMS. Its design perfectly combines harmonic colors, readable typography and user-friendly interface. The template includes 2 amazing homepage demos with a well-structured overall look. Moreover, the theme is a SEO-friendly and fully responsive. Being built on the fastest page builder King Composer, you will have a chance to create any page you want in a short period of time. Alongside with the basic features and options, you can enjoy multiple shop styles, handy Mega menu, catchy Revolution slider and many more. The theme can be installed with a click! Patisserie looks impeccably yet functions smoothly. The WordPress theme comes with a stylish and cutting-edge design packaged with modern plugins and usable features. It is powered by the latest web technologies like HTML5 and CSS3. Alongside with the basic pages, the template comes with a number of additional pages that will help you enhance your website and better your business presentation. With loads of premium content modules, it’s possible to underline the main topic of the site and grab users’ attention. Thanks to flexible Power page builder, a website building process won’t require coding skills and knowledge. With a Live Customizer tool, the process of customization promises to be engaging and easy. The theme is stuffed with multiple social buttons, useful web forms and appealing background options to make your site stand out from the crowd. 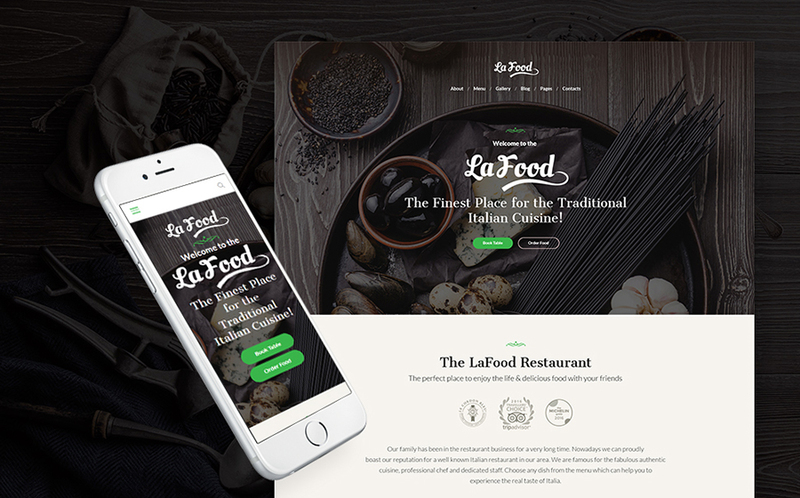 La Food is an elegant, versatile and polished responsive WordPress theme that has been developed to serve a perfect website building platform. It was optimized for lightweight and fast loading that has a positive impact on the search ranking results. The template packs eye-catching image gallery customization styles and layouts for you to showcase your best dishes in a most appetizing manner. Having bought this theme, you will appreciate Cherry Framework 5 letting you enhance your site functionality. Using pre-built Power Page builder, it’s possible to create a page if any complexity. You won’t have difficulty with your customers interaction due to effective newsletter subscription and working Contact form. La Food is mobile-friendly and will run smoothly across a variety of devices. Restaurant theme will help you boost your business and elevate your company’s success. This flexible, cross-browser compatible and fully responsive theme has been developed to give you absolute control over the structure and design of your site. In addition to multiple useful options and features, it boasts tons of visually appealing tools like a full-screen slider on the homepage and readable typography. 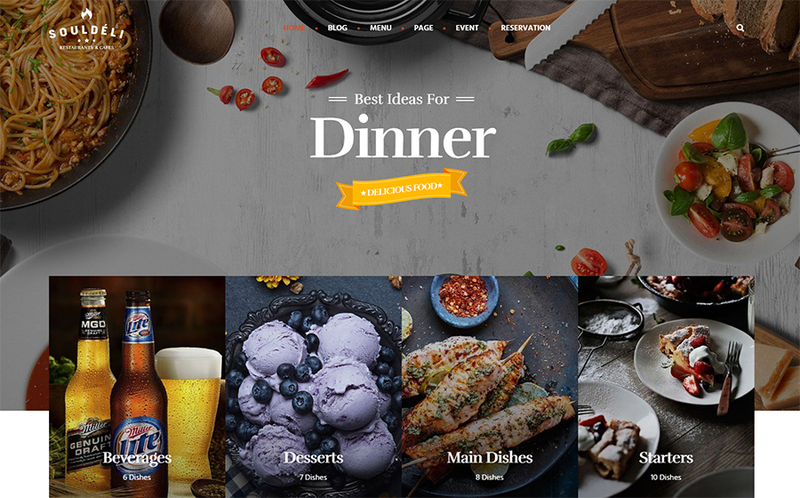 Based on the Bootstrap framework, Restaurant provides the rich toolkit for developing a fully-fledged website. With professional drag and drop plugin for site building – Visual Composer, both web experts and beginners can turn their imagination into a real website without effort. Alongside with several header styles, you achieve a comprehensive footer layout that includes contacts, social media buttons, About us info, quick links, menu categories and other important data for quick access. 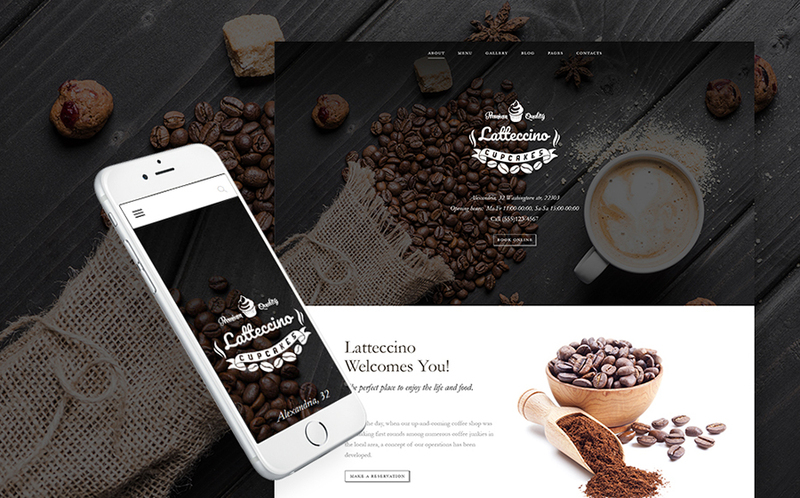 Latteccino will serve a smart, well-organized and feature-rich platform for running a powerful coffee shop. With this WordPress template you won’t have difficulty while its installing and customizing because it’s based on the clean and valid code. The theme was developed in accordance with the newest web trends and standards. It gives you a great opportunity to strengthen your online presence and increase your company’s credibility with the help of an amazing blog, Team Members and Testimonials tools. A mouthwatering online presentation can be achieved with Cherry plugins or an advanced pack of custom widgets. The theme provides your website with all the necessary options for making customers experience impeccable. You can take advantage of Appointment Booking allowing your clients to reserve a table online or Restaurant menu to check out your menu without leaving home. Latteccino will let you make a completely user-friendly website in a short period of time. 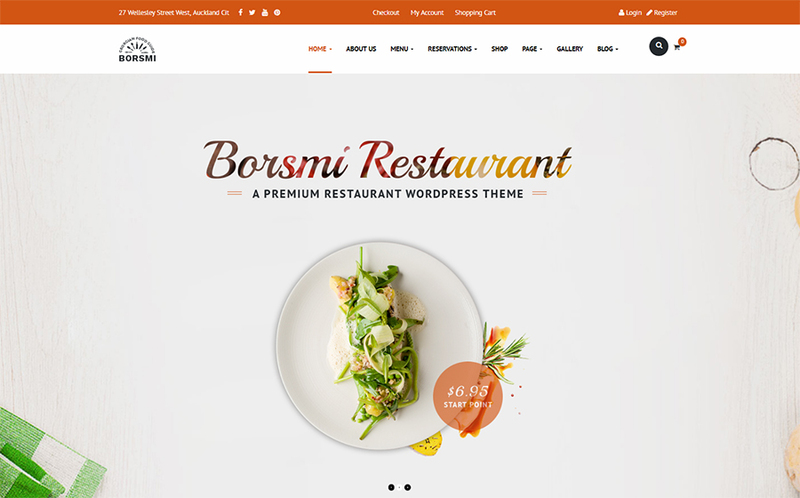 Borsmi is an easy to configure creative and flexible food-related WordPress theme that comes with accurate documentation, automatic updates and effective support from its creators. Thanks to Slider Revolution you get to showcase your menu with elegance. The template comes with 3 pre-made demos showing how your site will look. Having bought this product, you get a number of possibilities to build a feature-rich website using various plugins and extensions. One theme provides tons of website variants – café site, cooking blog, recipe website or any other food-related online service. The theme includes a number of page layouts for all occasions including Event, Locations, Gallery, etc. Your website will allow your customers to reserve a table, to look through your menu, to get acquainted with your store’s assortment and many other possibilities. 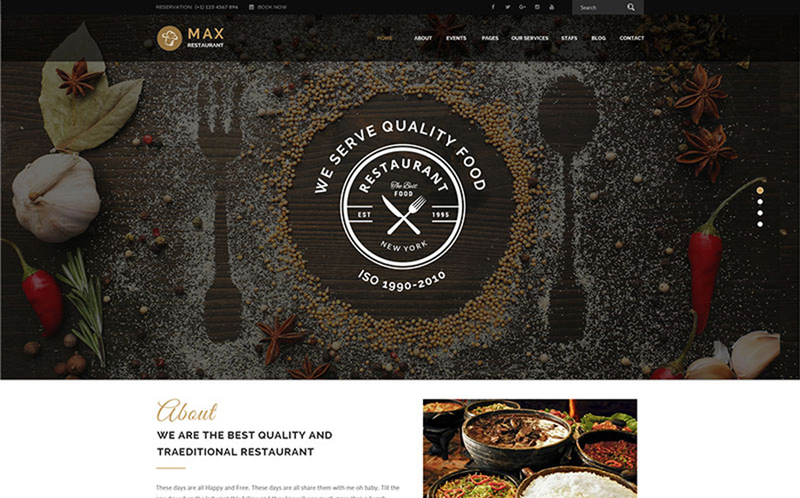 This restaurant WordPress theme is SEO friendly, mobile-first and optimized for speedy performance. 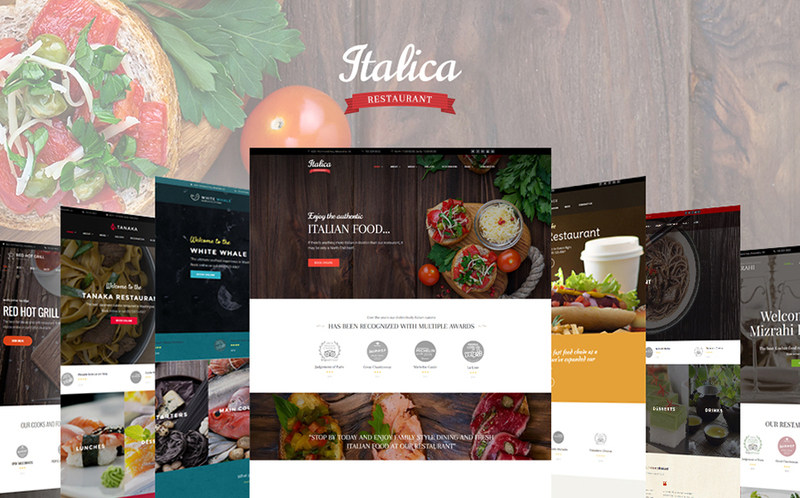 With Italica WordPress theme you can run any restaurant business on the web. This multipurpose template contains 7 niche specific themes allowing you to save up to $450. In addition to comprehensive documentation and tutorials, you achieve effective support and the rich pack of outstanding plugins letting you enrich your site functionality. The theme boasts an elegant and polished design alongside with a smooth navigation. Having bought only one template you will get 6 various skins for absolutely different restaurants. Thanks to the WordPress Live Customizer feature, you can preview all changes before you apply them. This feature encourages creativity by making it easier to correct mistakes. There are three stunning header variants, tons of web fonts and web icons and multiple useful plugins in the theme’s package. Have you ever dreamt about running a personal cooking blog for a song? 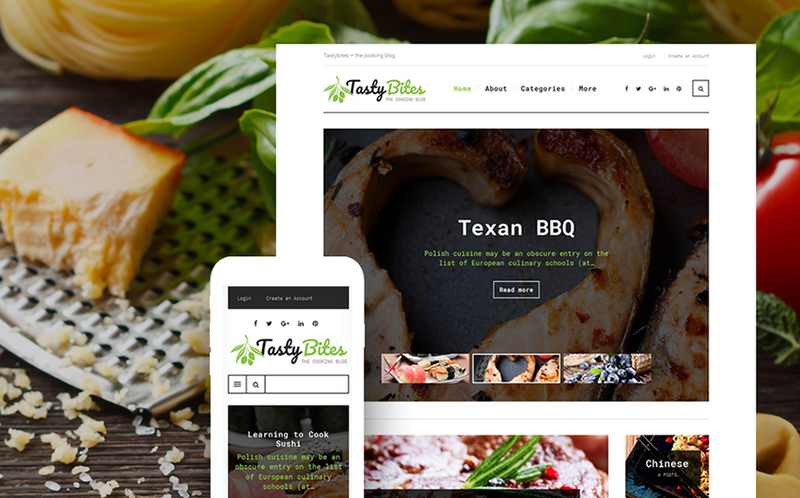 With Tasty Bites WP theme, you have a great chance to make your dream come true. This catchy and impeccable template will let you stand out from the crowd on the web thanks to an outstanding design and advanced functionality. It boasts an easy and intuitive interface with readable and eye-pleasing typography. Since the template is built on the Bootstrap framework, you achieve an access to extensive toolkit allowing to enhance your site functionality. Moreover, thanks to fully responsive and Retina-ready design, your cooking blog will look perfect on any modern device. As search engines love WP themes, you won’t have difficulty with generating traffic. The theme takes no more than 5 minutes to be installed. 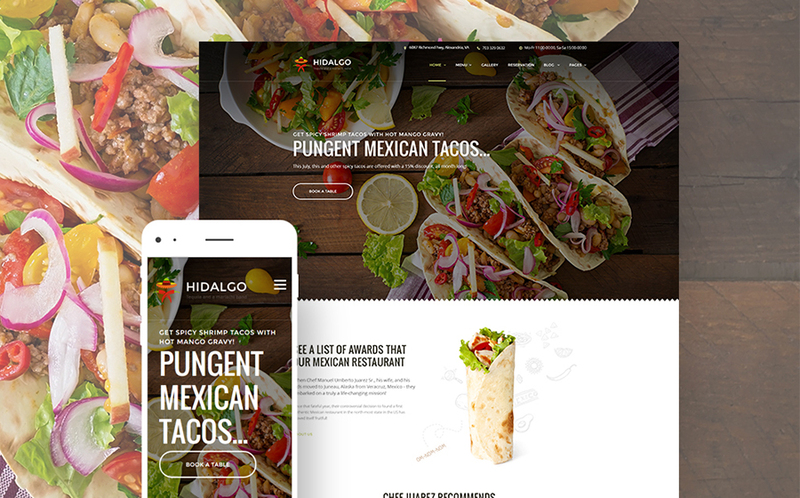 If you search for a mouthwatering premium WordPress theme for your Mexican food restaurant, Hidalgo is the best choice. 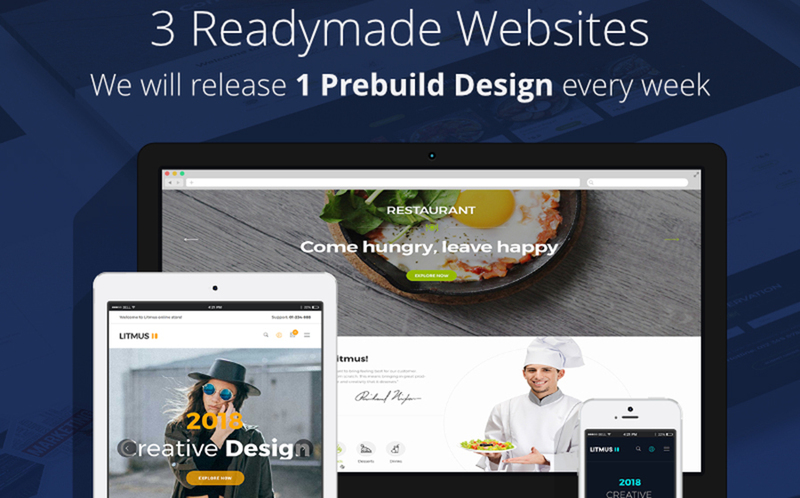 This ready-made template has been equipped with powerful, intuitive tools to empower webmasters to produce professional quality websites and pages in a matter of minutes, without so much as looking at a line of code. The template is equipped with the Parallax animation letting you make your site background and navigation smooth and visually appealing. Catch your visitors’ eye with premium sliders, stunning galleries directing their attention where you want. List your prices, options and specials in elegant style. Let your clients reserve a table online, look through your menu and read testimonials. In addition, you can interact with your customers with the help of feature-rich blog. 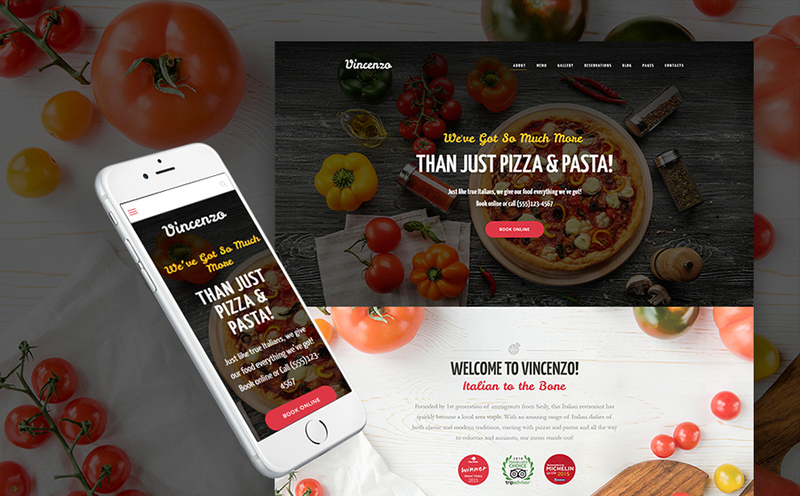 Vincenzo is an intuitive, flexible, powerful WordPress theme, designed to suit the needs of restaurant and café websites of all sizes. With the uniquely conceived creative demo, the theme is ready to go right out of the box. It features a wealth of premium plugins deployed and visually styled to match your restaurant site style. The template packs expansive image gallery customization styles and layouts for you to showcase your best dishes in a most appetizing manner, as well as fully functional out of the box online shop pages for you to market your dishes directly off your website, powered by the amazing Ecwid plugin. With flexible drag and drop Power Page builder incorporated, you will build a page of any complexity. This tool provides you with an absolute control over your site structure. Thanks to an advanced set of configuration options, you can easily turn the theme into a powerful site. Delicia looks stunning and modern yet functions smoothly and impeccably. The theme is robust and easy to use, highly responsive and completely adaptive. It has been carefully crafted by a professional team of webmasters in accordance with the latest web trends and standards. With Delicia, you have an access to the rich collection of premium plugins enabling you to fully modernize your site. Built with Cherry Framework, the theme is equipped with the ultimate pack of the best plugins aimed to enhance your website’s functionality and overall look. The theme also supports high-resolution Retina displays, allowing you to enjoy crisp graphics and sharp text. Litmus is a well-structured and sleek looking multipurpose WordPress theme well suited for many different websites. The theme is all screens adaptable and very interactive. Packed with heaps of functionality, useful features and multiple layout options, this theme be easily customized and turned into the website you’ve dreamt of. The template boasts its solid framework, which is favorable for building an outstanding online presence. Thanks to premium King Composer page builder, you can create any page you want without any coding knowledge. The theme encourages creativity thanks to unlimited customization options, various header and footer styles, loads of web icons and hundreds of web fonts. Due to handy WooCommerce plugin, you can launch a fully-fledged e-store effortless. 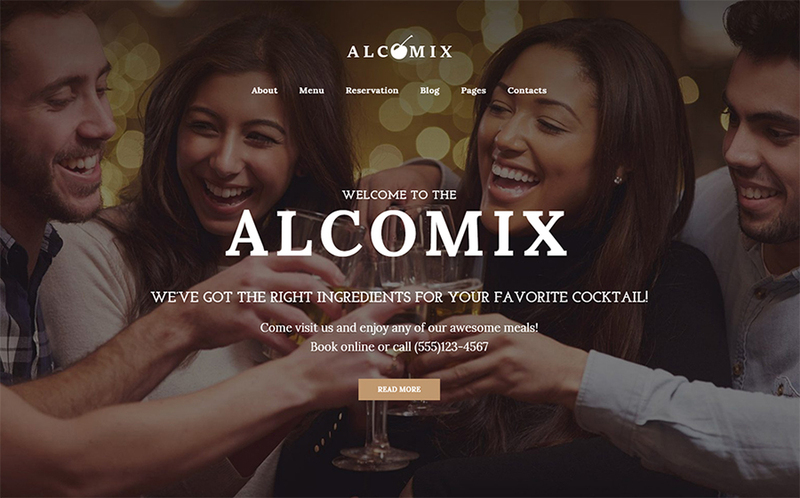 Alcomix is a completely gorgeous and thoughtfully designed, modern looking and technologically sophisticated WordPress theme, specifically designed to cater the unique needs of cocktail bar websites. In addition to elegant, eye-catching and visually appealing design, you achieve a rich platform with extensive functionality. This template comes with a special bonus that contains 15 pixel-perfect niche-specific images. Moreover, it is fully responsive and Retina-ready, so your website will look perfect on any device with any screen resolution. This SEO-friendly and conversion oriented WP theme will give you an opportunity to reach top search ranking. Thankfully, Alcomix is stuffed with accurate documentation and effective support. 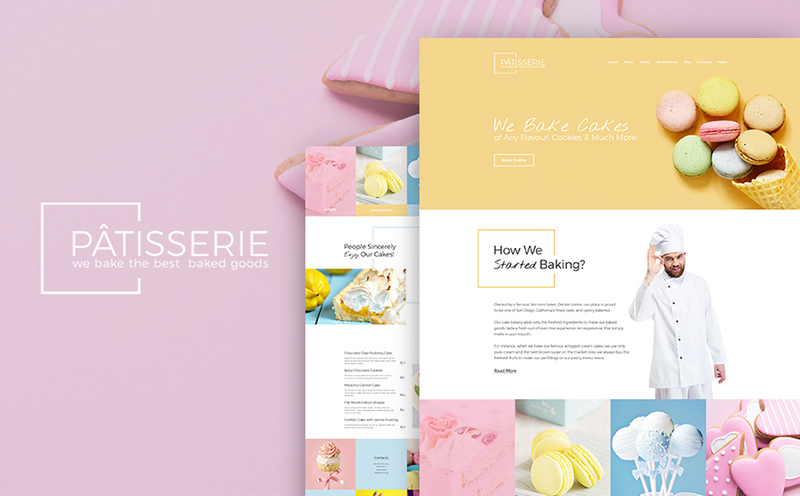 This stunning collection of yummy WordPress themes is built with care by top industry leaders. All these themes ensure an impeccable performance and smooth and intuitive interface. In addition to a mouthwatering design and polished overall look, your website will have multiple useful web forms and social media integration.